The mellow flavour of walnut oil and a handful of toasted walnuts turns this very simple salad into something special. 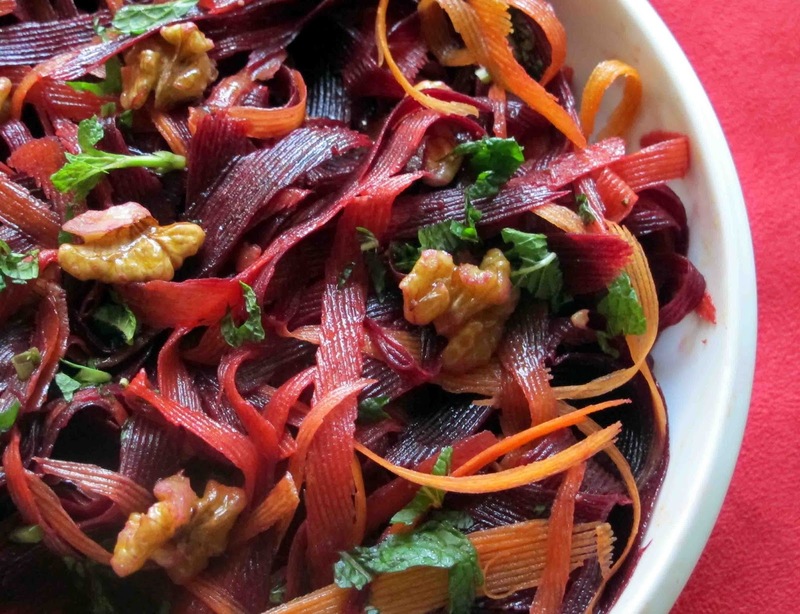 Purple Carrots are not quite as sweet as orange ones so it's good to combine them in this vibrant salad. Peel and slice the carrots and shave them into long ribbons. We enjoyed this salad on a bed of mesclun salad, and served with falafel patties .